Well, it's DAR Film and TV Week. While I'm not a true movie buff and I don't watch much TV these days, I still have a love for both. As far as films are concerned, I tend to enjoy comedy and usually any comedy that stars a black comedian that I truly enjoy deserves a mention on this site. Thus, with the 1998 release of the film Rush Hour, a much younger True was definitely enthralled by what was presented: a buddy cop film starring martial arts legend Jackie Chan and at the time, one of my favorite actors and comedians, Chris Tucker. After watching Chris in one of my all time favorites "Friday" and another gem in "Money Talks", I was intrigued to see what would come of this. I had no idea that this would turn into a trilogy and one of the more successful trilogies at that. -The first film in some ways is my personal favorite, as it never feels dated, even in some of the jokes that don't apply now. It still feels funny and the laughs are timeless. 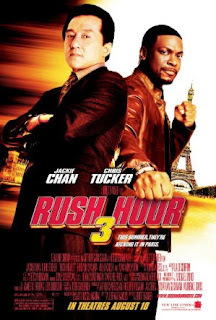 I think initially what made this film so good was that Chris Tucker played the first half of the film with a chip on his shoulder after the opening scene left him in trouble with his captain. 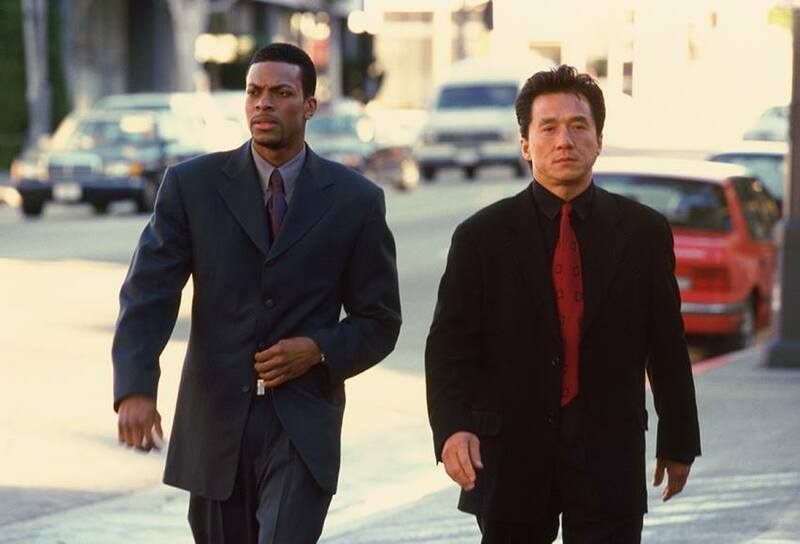 As a LAPD officer, Tucker plays James Carter, who is assigned with watching Chan's character Detective Lee, after Lee comes to LA to help find out who kidnapped Chinese Consul Han's daughter Soo Yung. Now, what begins is a pretty funny tale of deception, action, and a true friendship building at the same time. 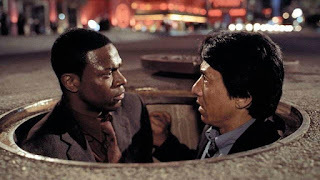 It is a very interesting dichotomy, as we watch Carter attempt to show Lee the ropes and give him a better understanding of America culture and how to tread softly. 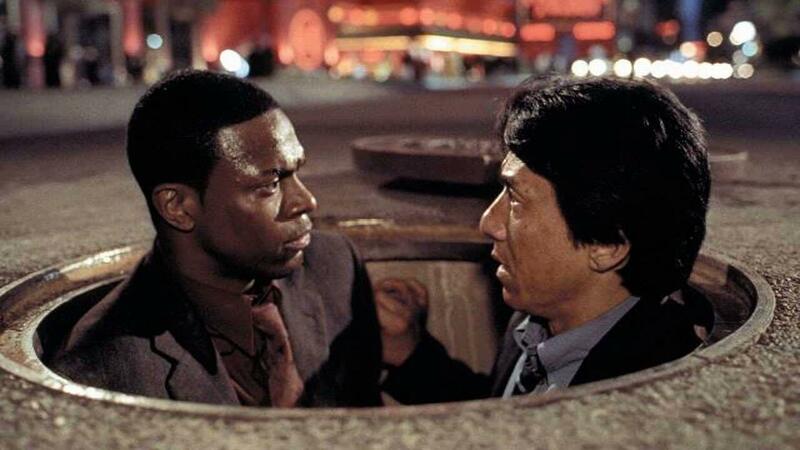 One of the best scenes in the film comes as the halfway point, as Carter finds out Lee can speak English after Lee tries to escape and help locate the missing girl. The FBI has no plans of allowing Lee or Carter do anything remotely relevant to this case however, and what follows is a crazy whirlwind of chaos. Of course, as most of us know, Soo Yung is recovered and all ends well, with Carter and Lee seemingly going away on vacation together as reward for helping to actually solve the case and Carter turns down a job with the FBI. 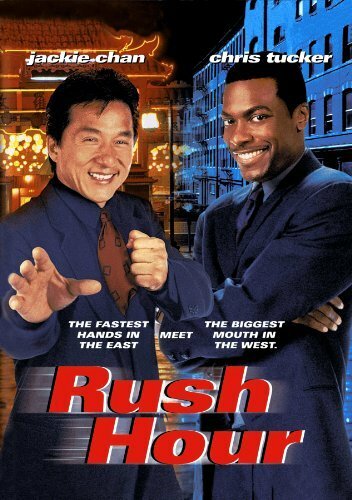 With the pieces in place for a sequel already, the first Rush Hour film debuted as no. 1 at the box office in September 1998 and would go on to earn 240 million dollars worldwide. The movie soundtrack would feature Dru Hill, Redman, Jay-Z and many others and be released on Def Jam Records, all the while going platinum. Successful all around. -I debate between this film and the first film as the best of the trilogy. While I'm still a bit partial to the first one for a few reasons, this August 2001 sequel is without a doubt a classic in its own right. The film amazingly takes place just four days after the events of the first film it seems, or at least it was written that way. On vacation in Hong Kong, Lee and Carter seem to be enjoying themselves and living it up for the most part. However, when a bomb explodes at the U.S. Consulate General, everything seems to change. Enter new character and villain Ricky Tan, someone who Lee has reportedly had some history with. Tan, who was suspected to have a role in the death of Lee's father, who was a former cop himself, has rose to be as leader of the notorious Triads gang. While Lee is focused completely on finding Ricky Tan, Carter just wants to have fun and enjoy his vacation. This causes a minor rift between the two. Roselyn Sanchez is gorgeous in this film, as she plays a secret service agent who somehow takes a small liking to Lee and eventually asserts herself into the case. What follows is a huge mess of counterfeit money, murder, and hidden agendas, until we arrive at the end and learn that a successful billionaire is laundering money through a casino and that he and Ricky Tan are in business the whole time. Eventually, the billionaire dies and Lee ends up face to face with Ricky Tan. Ricky Tan reveals that he killed Lee's father and in a moment of revenge, Lee kicks him out of the window from high up in the casino hotel, causing Tan to meet his end. The final scene shows an associate of Tan, named Hu Li (played by the beautiful Zhang Ziyi) walking up to them with a bomb and Lee and Carter are forced to zip line down to the street as the room explodes. Rush Hour 2 is the most successful film of the trilogy, as it debuted at no. 1 and grossed over 350 million dollars worldwide. A huge feat. The sequel also saw a successful soundtrack, as the soundtrack went gold mostly off the strength of the Ludacris and Nate Dogg classic "Area Codes". A mega hit. -While this is my least favorite movie in the trilogy, I must admit I liked it at first. 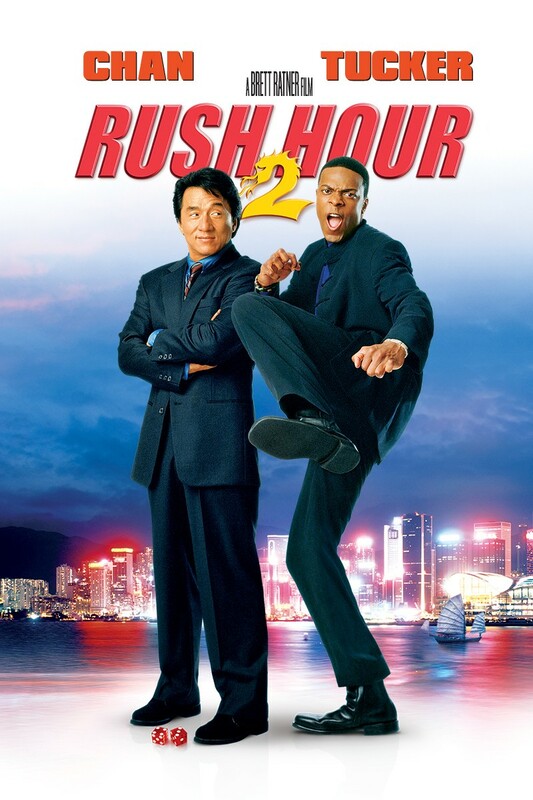 I thought Chris Tucker was hilarious in this film at times and Jackie Chan did his thing as well. 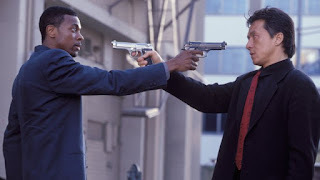 The opening scene with Carter singing Prince while directing traffic is a classic scene for the series and the end of the first sequence with Lee and Carter still provides laughs. The story follows us to Soo Yung, now a grown woman being kidnapped yet again and held hostage but this time it's all led by Lee's evil brother Kenji. 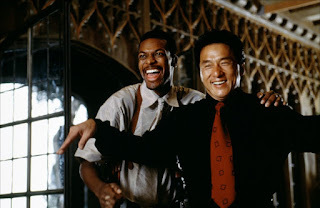 The film introduced a whole new narrative with Lee having a brother and the duo ended up going to Paris to solve the case. Upon a revisit of the film, it doesn't hold up as well, but it still has some laughs. I think the biggest misstep with this film was the ambitious nature of shooting in Paris and trying to pinpoint everything as accurately as possible, along with the revisit to Han and his daughter and the new arc of Lee having a brother. It was something we didn't know over the first two films and it was sprung on us very quickly. Now, the film itself did manage to be successful, debuting at no. 1 with a big opening and finishing with about 250 million worldwide, not as big as the second film, but right on par with the first. With that success, there has been talk of a 4th film and one rumor says that there is a script already. Will there be a 4th Rush Hour? Should there be? A few questions that need answers, but I wouldn't be against a 4th film if it was done correctly. 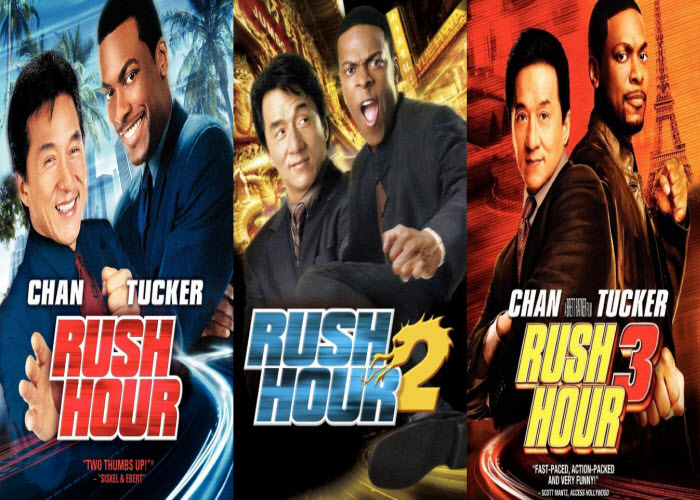 Have opinions on the Rush Hour Trilogy? Post them below in the comments.